Manually Install Applications on your Android: Try to install a cool app, but eventually the credits or the internet leaves you in hand in the middle of downloading the app. Well, then today, here is the solution to this problem. Many do not know but it is possible to download a file. Apk application and install it on your device without any problem, it is enough to find a reliable website and download the file. 1- Go to the settings of your Android and enable the “Unknown Sources” option in Security Section. 4- After creating the folder you will drag the. Apk downloaded to this folder. 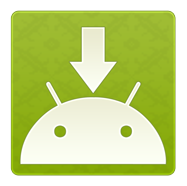 5- After this you will in the file manager of your Android and seek the created folder and inside it, open the file you downloaded. 9- If you do not have a manager on your phone, we recommend using ZArchiver. 10- After this step, perform the installation of the application by clicking Open, and follow the installation steps. One thing it was to be allowed on Google Play Store, was the release of the download application for manual installation on the device, however, Google does not like this very practice. Fortunately there is an extension for Chrome that does just that, the low. Apk application on your computer and still informs Google Play you downloaded the app. The extension is simple, does not require much effort to set up, but we will help you. After this, you must configure the extension for it to work properly, you must enter your e-mail address, password and also inform the ID of your device, either mobile or tablet, which connects with the Google Play. You can find the ID of your phone by dialing *#*#8255#*#* and look for it on the screen that will appear, depending on your phone may appear in various forms, the most common is: ‘Device ID’ and next is the code which should contain 16 characters. If you are using a tablet, the best way to look your ID is the Device ID Application. With the extension configured, you can start to download the apk of apps on Google Play, just go to the app page and click the icon that will appear on the right of the address box. We warn that you cannot do to download paid apps. After downloading you can follow the beginning of this tutorial to install them on your device.